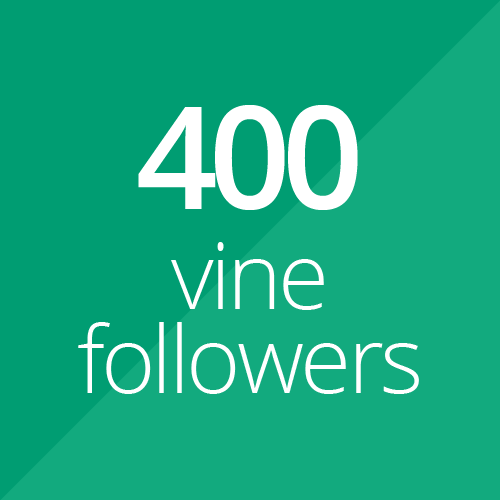 If you need high quality Vine followers, then this service is perfect for you. We will add only high quality followers to your Vine profile. We will replace any followers that un-follow you (within the first 6 month from the date of purchase), completely free of charge. We provide first class support to all our customers and reply to all messages within 24 hours (except during holidays). Kindly note that these followers are NOT REAL. This service is only meant to boost your followers count artificially. - Replacement is valid for new Vine accounts (with less than 25 followers at the time of purchase) only. However, the limit of 25 followers does not apply if you have used our services before to increase the amount of followers on a new Vine account. If you have purchased followers from other sellers before then we cannot provide any guarantee. - We will only replace followers if they drop below the amount you ordered. We normally add some extra followers on every order. However, if these extra followers drop, we will not re-add them.